If you are pulled over by police for suspected drunk driving, you do not have to take a breathalyzer test. It is your absolute right to not do so. However, your refusal to do so gives law enforcement every right to take you to jail. The test that can affect your license is the one they have you take after reading you the Implied Consent law. You also have the right to refuse this test, but you may lose your license for refusing. You also have the right to request your own test and to have a blood sample taken. Once you make the request, police must take you to the hospital or clinic of your choosing. In fact, if you need money to have the testing done, they must drive you to an ATM before taking you to the hospital. If they refuse to take you, your lawyer may then request that their test be thrown out. It is very important to know and exercise your rights. Have your own tests done, separate of theirs. 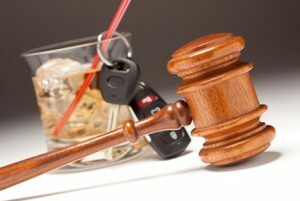 Even if you are charged with DUI and lose your license, if you are found guilty of lesser charges, such as reckless driving, you may still be able to get your license back. But what happens when you’re 17 or 18 years old – will a DUI always be on your record even though you’re not 21? Every state law differs on this issue. For example, in Georgia, once you’ve reached the age of 17, if you have more than one DUI (the first one is expunged), it will remain on your record unless you attempt to have it expunged. This process depends upon what you pled to and whether or not you are found guilty at trial. This is one reason, if you are not guilty of driving under the influence, you should not plead guilty just to get probation. A DUI offense will follow you. In many ways, it will follow you longer than being a convicted felon.